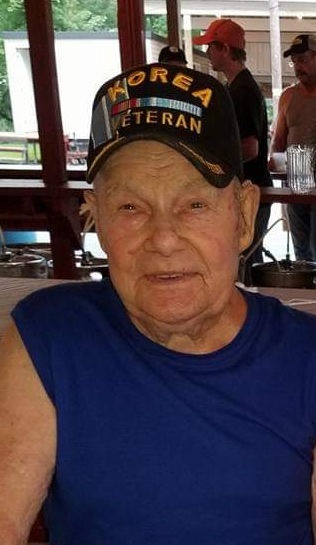 Earl John (Doke) Rhodes, 89, of Catawissa, went to be with the Lord, Thursday, March 28, 2019, at the Geisinger Medical Center, Danville. Earl was born Nov. 30, 1929, in Shamokin, a son of Luther and Hazel “Ernest” Rhodes. 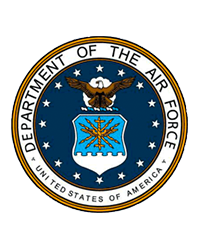 He graduated from Catawissa High School and served in the United States Air Force during the Korean War as a B17 fighter tail gunner and later as an airplane mechanic. He then worked for Magee Carpet Company as a machinist and then he worked at the National Gypsum Plant. He is a member of the Catawissa American Legion Post 541 and Catawissa VFW 8306. He loved the outdoors and animals. He was an avid dog trainer, hunter and outdoorsman. He was a proud owner and trainer of Field Champion Beagles. Earl was preceded in death by his wife, Barbara “Holderman” Rhodes, who passed Jan. 7, 2009; a son, Robert Rhodes; and two brothers: Larry Rhodes and Doyle “Sam” Rhodes. Earl is survived by two daughters: Deborah Haney of Catawissa, and Donna Stanton of Illinois; five sons: Ricky Rhodes and his wife, Susan, of Catawissa, Ronald Rhodes of Danville, Rudy Rhodes of Sunbury, Ross Rhodes and his wife, Jodi, and Rodney Rhodes, and his wife, Diane, both of Catawissa; and 17 grandchildren. He is also survived by two brothers: Chester Rhodes and Paul Rhodes and wife, Rosemary Farver, both of Berwick; and two sisters: Thelma and her husband, Mort Fegley, of Harrisburg, and Gloria Holderman of Bloomsburg. Service will be Monday, April 1, 2019, at 2 p.m. at the Allen R. Horne Funeral Home & Cremation Services, 193 McIntyre Rd., Catawissa, with Pastor Chris Dunlap officiating. Burial will be at Mount Zion Cemetery. The family will receive friends Monday from 1 p.m. until the time of service. The Allen R. Horne Funeral Home and Cremation Services, Catawissa, is handling arrangements.